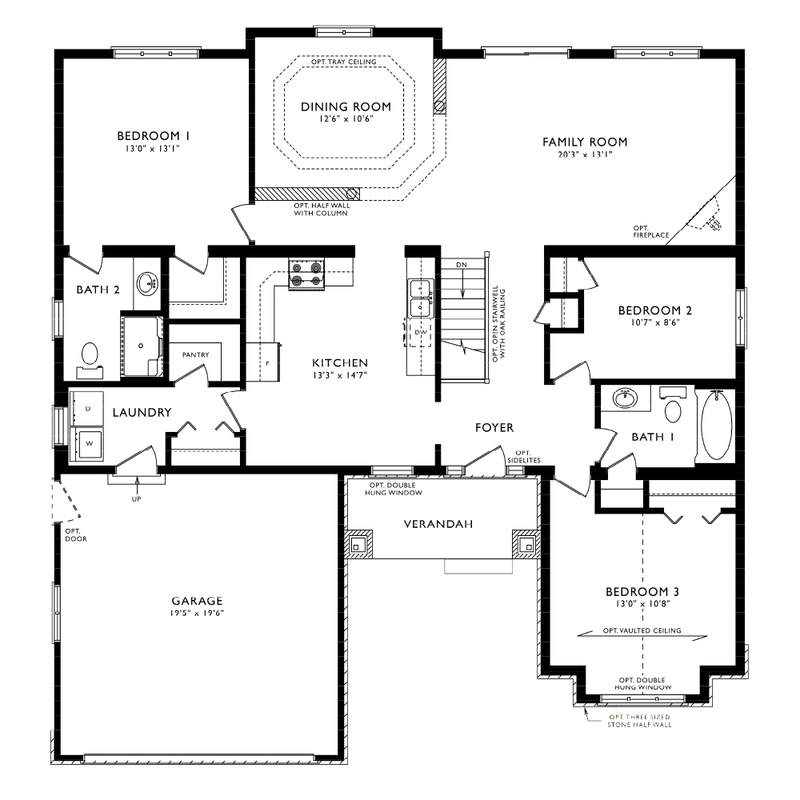 With three different floor plans offered, the Acadian has all of its conveniences on one level. An additional full height basement can virtually double your living space. While Elevation A is an open concept, the other two elevations are more traditional with a formal dining room and cozy kitchen. 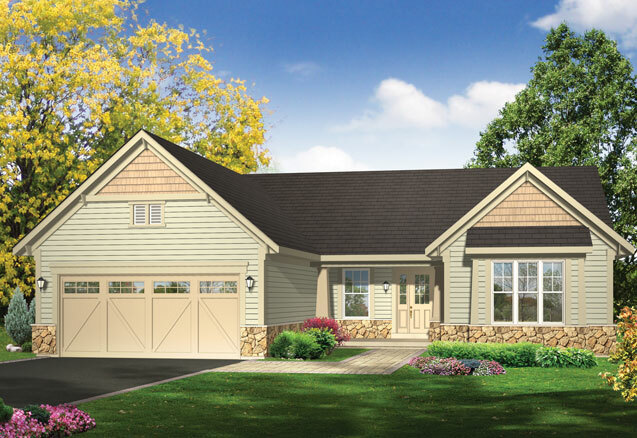 You can add a vaulted ceiling, fireplace or a kitchen island to enhance the Acadian’s versatile living spaces.